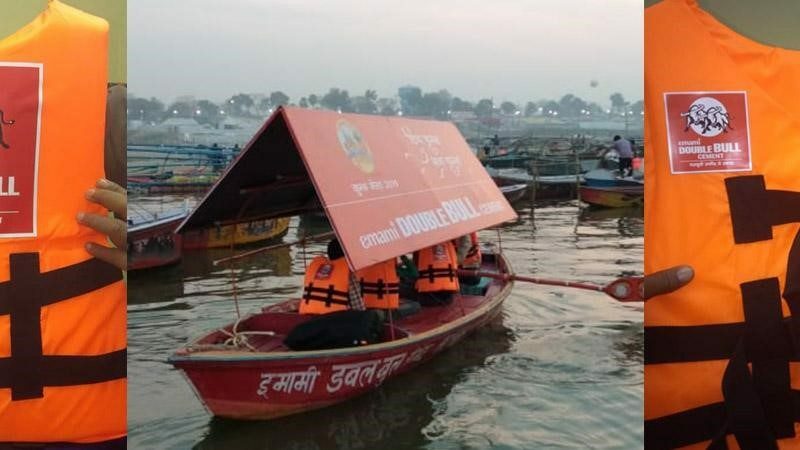 Kumbh is the sacred confluence of the Ganga, the Yamuna and the mystical Saraswati, at this sacred confluence huge multitudes move like waves in the ocean filled with sense of devotion. The Kumbh Mela comprises of many rituals including bathing ritual, which by far is the most significant ritual performed at Kumbh. Millions of pilgrims take part in the Kumbh bathing ritual at the Triveni Sangam. Performing this sacred ceremony is in accordance with the belief that by submerging oneself in the holy waters, one is purged of all their sins, release themselves and their ancestors from the cycle of rebirth and ultimate attainment of Moksha. The snan dates are very important in terms of pilgrim safety because hundred of people are injured or drown during the snan. The safety of pilgrims is of paramount interest for the govt authorities. In order to help the authorities to combat the issue, Emami has come up with the concept of Life Jackets during the snan for the pilgrims. The pilgrims are given a life jackets that help them stay afloat during their dip in the holy river. These life jackets are bright coloured which also helps in providing vision of the pilgrim wearing them during the snan. Emami plans to save hundreds people during the snan with a noble idea of life saving jackets. What is Out of Home Advertising or OOH? It is the product promotion and branding done through various solutions, each having a unique impact. Billboards, wall painting, posters and banners, street branding, bus and train advertising, bus stand announcement advertising; the list is unending. One must find the right method that fits the needs. Yes, indeed all these methods are effective and result-oriented. However, the cost is always an inhibiting factor when one wants to use the best method. 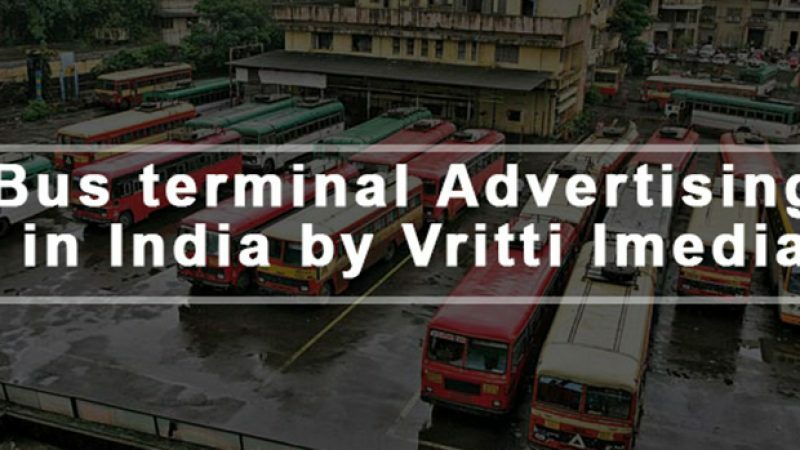 Companies such as Vritti iMedia have created a distinct place in the niche by introducing different and unique ways such as rural bus stand advertising. Whether it is branding on the back of a bus seat or bus-stand hoarding, outdoor branding or Audiowala Bus Stand or bus terminal advertising in india; every campaign has shown remarkable benefits at affordable prices. What are the best places for OOH and why? According to the experts, the best location that gives the maximum return on investment is where the footfall is large. The more people visit a place, the higher is the coverage. No wonder, railway stations, bus stands, congregation places or transit places are considered ideal. According to the reports, railway stations are the most visited places in our country followed by the bus stands. It is the reason Vritti iMedia has introduced Audiowala Bus Stand which is a highly effective yet affordable medium. There, clients promote their products or brands with the help of the central broadcasting system of the bus stand. With the bus announcements about the arrival-departure of the buses, interesting and engaging content is played. Audience pays 100% attention to the central announcement system because they dont want to miss the important bus information. Hence, the brand promotion messages and other OOH activities get complete attention when bus stand advertising is used. Due to its widespread reach (over eight states in the country), and superior engaging capability; Audiowala Bus Stand is a milestone in the niche. Though Vritti Imedia got pan-India fame because of Audiowala Bus Stand, their innovation and creativity are not limited to that. The creative brains created marketing campaigns for their clients using other unique methods as well. To give an example, the information board and beach branding campaigns were greatly appreciated by the clients. These campaigns integrated the product promotion and social message quite beautifully at reasonable bus stop advertising prices. Top levels of creativity and an immense ability of creating an effective OOH are the core strengths of Vritti iMedia. TATA brand is synonymous with the word Trust in India. Hence, any campaign organized to endorse any product of TATA doesnt have to talk about the reliability and credibility. In the event Tata Tea-Ek Chai Teen Kamaal Vritti iMedia focused on replacing the poor-quality local brands of tea with Tata Tea Gold, the well-known tea brand in India. The state of Maharashtra was selected as it is among the top consumers of tea in India. Bus stand was selected for rural bus stand advertising because it is a place where a large crowd passes through every day. Travelling becomes quite frustrating at times. Nothing is more refreshing than a cutting chai then! The target market was rural population. Hence, no other place was better than a bus-stand. It is a place where large crowd visits to travel towns and small villages. The activity happened in the canteen. Three things were emphasized in the bus stand advertising activity; communication, engagement and sampling experience. Audiowala Bus Depot which was chosen for a pilot campaign. It is one of the most-visited bus-stand in the state. The canteen inside the bus depot was chosen because it is the place where people spend maximum time. During the event, the look and feel of the canteen were changed completely. It was converted into Tata Tea Canteen with the use of hoardings, standees and Tent Cards. People were briefed by the event coordinators about Tata Tea Gold Mixture and its specialties. Coupons were given to redeem the regular tea at a subsidized price. The brand engagement was achieved by conducting interesting games and distributing product samples to the winners. Roll the dice and Guess the taste were the games that were appreciated by the audience for high entertainment value. Audiowala Bus Stand and LED screens were used for playing contextual AV announcement (from 8 AM to 8 PM). It was specially made for the bus stand announcement advertising event. The event could reach 3500+ passengers and around 300 samples were distributed to the winners. Thus, it was quite an effective campaign both in terms of the reach and connectivity. Affordable bus stop advertising prices make it cost-effective. The audio jingles were heard by 200,000 people, and it created a great curiosity and awareness about the product. Even though increasing the sale was not the core objective of this campaign, a lot of sales inquiries were received. Even the canteen owner showed the readiness to carry the product further. In short, the campaign was one of its kind bus terminal advertising in india that achieved everything that was planned. It is impossible today to take the business to new heights without including rural market. Yes, once upon a time neglected segment of the Indian economy; today becomes the deciding factor. Marketing managers today spend a significant energy in deriving effective strategies that lure rural population. With highly charged innovation and creativity, today companies develop incredible ways of taking the products and services to the remotest located person.Yes, it needs a lot of research and analysis, but the results are overwhelming. There have been examples of brands that created history after reaching the high-potential rural consumer market in India. Here are some useful and impactful ideas to get the attention of the rural audience. Well, it is not an idea that needs huge resources. Today, technology helps in building effective virtual touch points if it is not possible to establish physical setup. Mobile phone penetration in India has been phenomenal, and smartphone usage in rural India is much significant than people think. In such scenario, establishing touch points would be an effective idea. Yes, it is more effective to use regional media in the rural market as people connect to the local language more than English or Hindi.It is important to get adequate coverage in the regional media to reach the target audience for better penetration. Promotion in the movie theaters is a brilliant idea in the rural market. Since there are predominantly single-screen theaters, the cost burden is quite low. Innovative companies such as Vritti Imedia thought a path-breaking idea of using bus stands for product promotion and branding. Since bus stands have enormous footfall in the rural market, it is possible to reach a large audience at limited cost. Though not popularly used, influence marketing could be an effective tool in the traditional rural market. In spite of the influence of electronic media and other new-age tools, people have a great faith on the personal experience. Influencing buying decision by making use of heads the consumers believe is useful and effective. Many companies create a strong user base that acts as catalysts for further sales. Using these tools cleverly and integrating it with further effective ideas of amplification, brands, and services can establish a good rapport amongst the rural consumers. As the rural segment becomes a deciding factor, it becomes all the more important not to ignore it anymore. Running a business is a challenging task in the competitive scenario today. You have to be always on the toes to understand the needs of your customers. 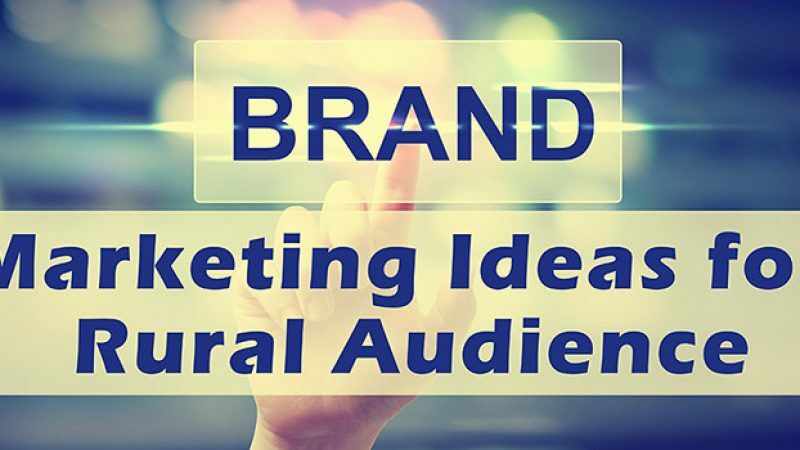 When you design a marketing plan for your brand, company or product; it is very much necessary to cover the urban and rural markets separately. Both segments are different in many ways, and a common strategy doesnt work. 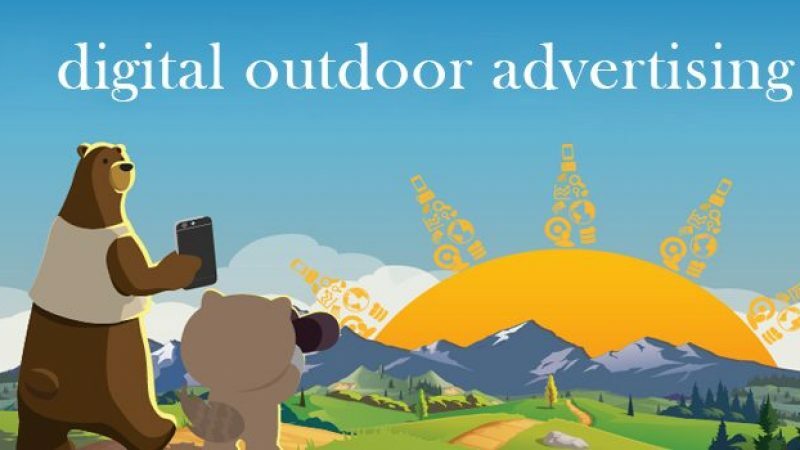 For innovative rural marketing campaigns, you need to put special efforts. To make their task simple; the article talks about 10 points that will help a lot. Of course, planning is the heart of building a master plan for a marketing campaign but it is furthermore critical here. Designing rural advertising strategies need profound groundwork and scheduling of tasks. It is quite unlikely suggestion to marketing managers because they are always aggressive. In the rural marketing strategy, one has to think about the unexpected hurdles or twists because of the unpredictable nature of the rural market. As the marketing manager, you should have a close interaction and dialogue with your team members. Get updates about the finer points of the strategy. Make a checklist and keep it updated. Document each and every action and follow it up well. Systematic working is the key to success. As mentioned earlier, rural marketing is not a game of pace. You need to slow down at times to implement a campaign. Or there is a need to change the strategy completely. The more you understand it, better is the marketing strategy. Rural activation agencies india must know about the market, demographics, audience, etc. The rural marketing campaign is different from others. Understand the nitty-gritty of it. Respect the difference between the rural market and others. You should know what your customers want? Their preferences and satisfaction levels are different. You need to understand what they want. In the modern era, information is incredibly important. When you design marketing strategy for rural marketing of fmcg products, make use of every bit of information. Every aspect of your rural market strategy should be emphasized. Content, selection of right medium, touch points and advertizing; all are important.